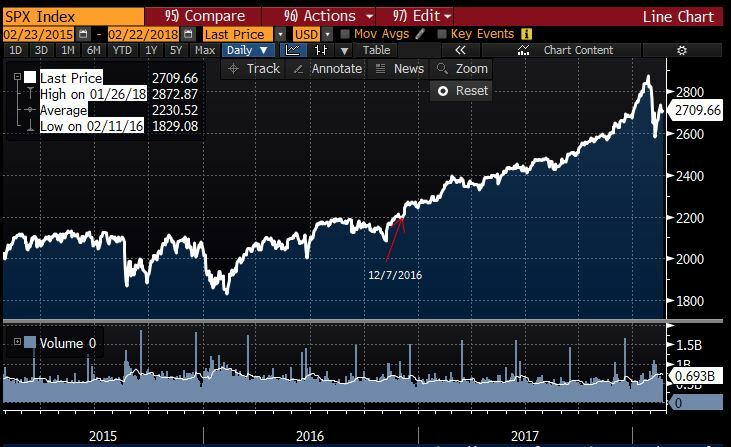 What structural changes, legislative or otherwise, took place in 2016, such that on Dec 5, 2016, the Trading Capital (Price*Volume) on the SPX suddenly tripled? 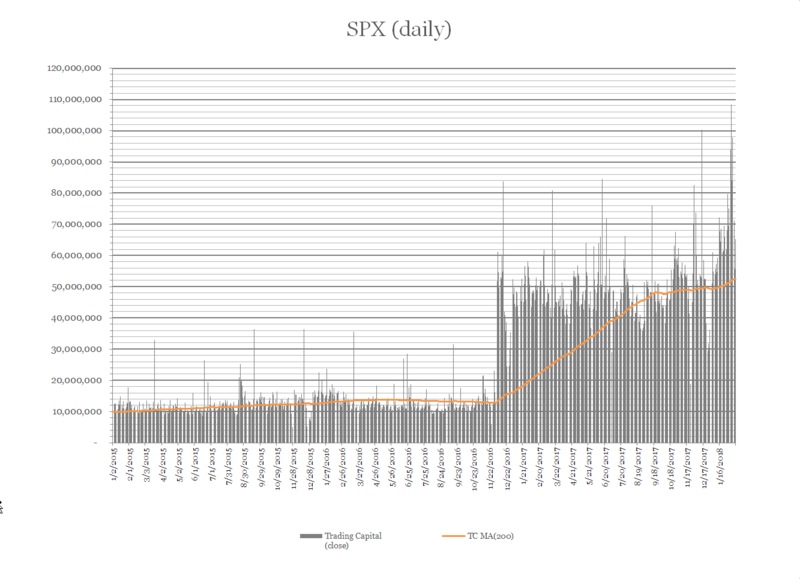 Prior to this date, the 200-day moving average on the SPX Trading Capital (Price*Volume) was about 10 million, ± 2 million; then it began increasing around January 2015, and reached 14M on Dec 12, 2015, and sustained $14M until December 5th, 2016. Then, quite suddenly, on December 5th 2016 it hit 51M, from 12M the day before, and on Dec 7th, it reached 61M, a level never before reached. The Question: What happened? What structural change brought this flow of funds into the S&P? I am inclined to think that some legislation went into effect in the first few days of December 2016. As of January 1, 2018, the Trading Capital has reached higher highs, keeping consistently above the 200-day MA. What is keeping the massive flow of funds coming into the US stock market? Secondary Question: From which Asset Classes is this money coming from? Per comments below, I am attaching the screenshot from the source. The DJI shows a similar phenomenon, on the same date. No surprise there. Another chart, this one from Market Watch, just trying to discard the notion that the data is wrong. I think this is an error. 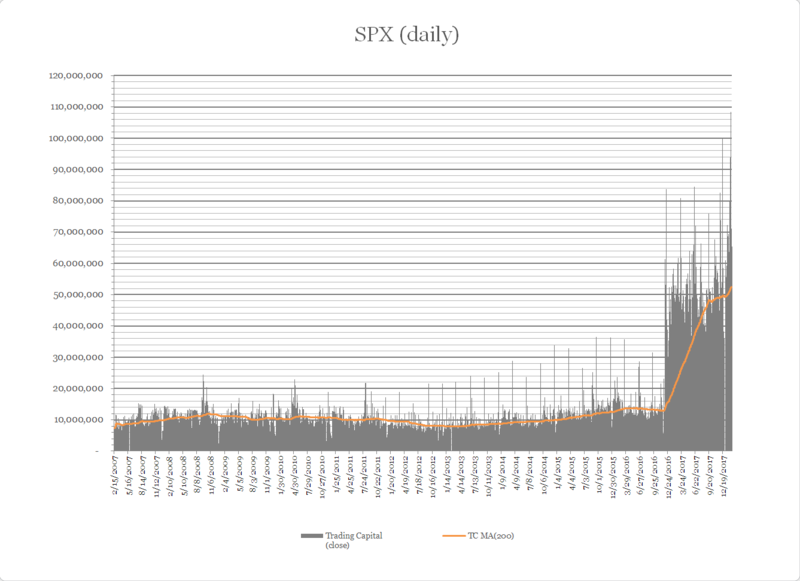 This is a chart of SPX price and volume I pulled off Bloomberg. 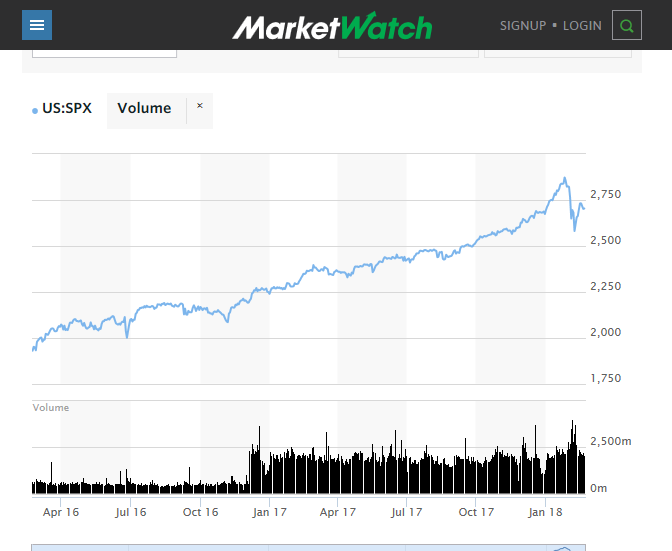 The volume does not go up after 12/7/2016 according to this chart. Not the answer you're looking for? Browse other questions tagged equities market spx or ask your own question. In what way are capital increases usually advertised?